Mid-century architect and furniture designer Charlotte Perriand, whose archives we delve into in this issue, once wrote: “The extension of the art of dwelling is the art of living.” We interrogate this close relationship between external surroundings and interior wellbeing and meet the architects chipping away at the partition wall between the two. Buildings affect the mood and behavior of their inhabitants. Equally, the things we build—or wish to build—reflect our own state of mind; blueprints of the ways in which we hope to reinvent the world. 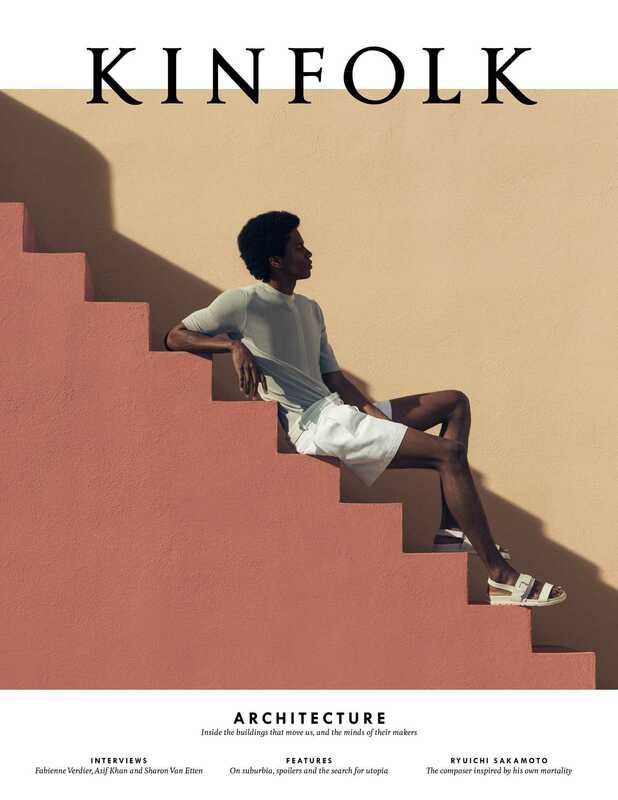 This issue of Kinfolk will pay homage to the architects with dreams too big for city planners to swallow—from an investigation into the history of utopian design to a photo essay about the most visionary projects that have been demolished, or simply never-built, over the last century. We also interview those who have bridged the divide and made their strangest whims a reality: like Asif Khan, whose belief in a future where architecture is “light, intelligent and simple” inspired him to build with bubbles. Elsewhere in the issue, we meet Sharon Van Etten, who talks about why she chose to study psychology while writing her new album, and we spend a day in the studio with Kyle Abraham—the choreographer making history at the New York City Ballet. As the weather turns warmer, our thoughts follow; this issue’s essays find our writers lingering on balconies, musing on the impossibility of “turning over a new leaf” and biting down on the juicy history of the peach.